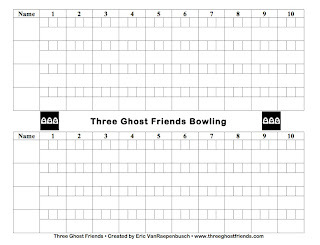 Click here to download the bowling score sheet! 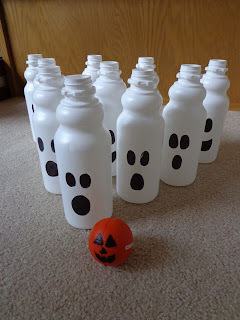 It took quite a long time to collect all the bottles but once we had ten we were ready to bowl. First, we drew ghost faces on each bottle with a black Sharpie marker. Then, we found an orange ball and added a jack o' lantern face. 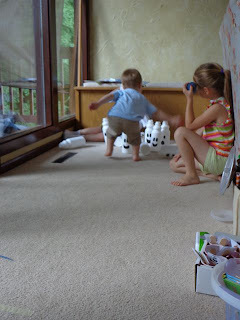 Lastly, we placed ten masking tape pieces on the floor in the pattern for setting up bowling pins. 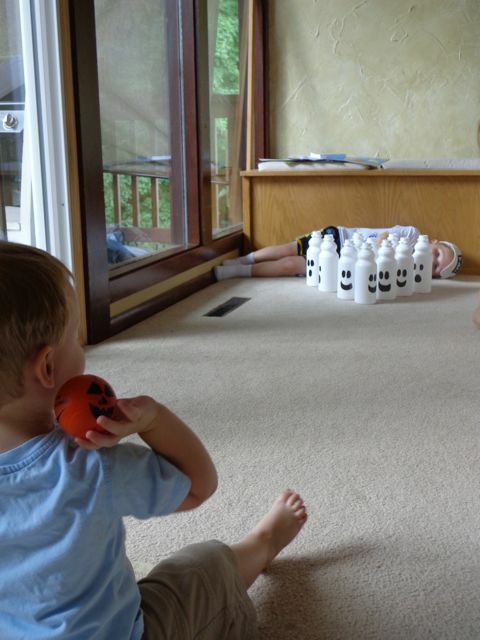 This made it easy for my children to reset the pins each time. 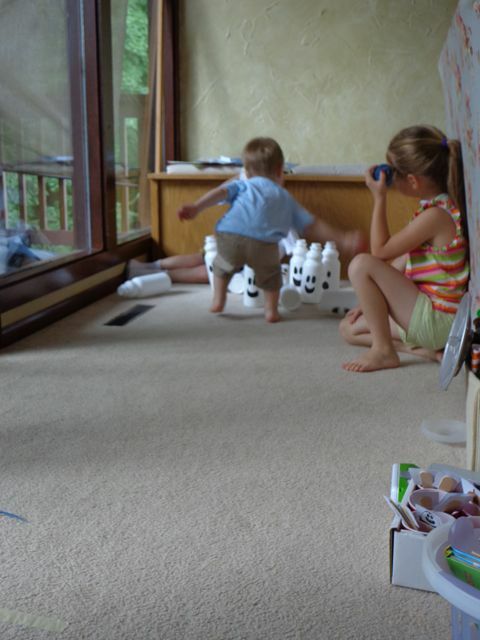 We have a bowling alley in our house! 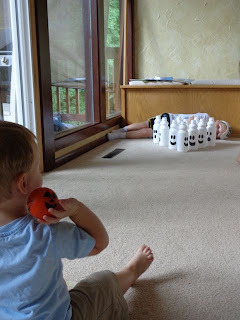 My 2 year old son figured out it was easier to just whack down the bowling pins! 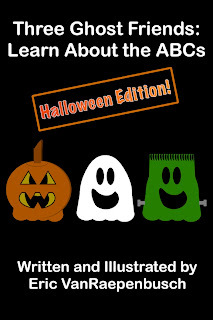 Check out the latest eBook, Three Ghost Friends: Learn About the ABCs - Halloween Edition, available at the Apple iBookstore using the iBooks App.